6.1. Finally, let’s flick through Il Canottaggio magazine. 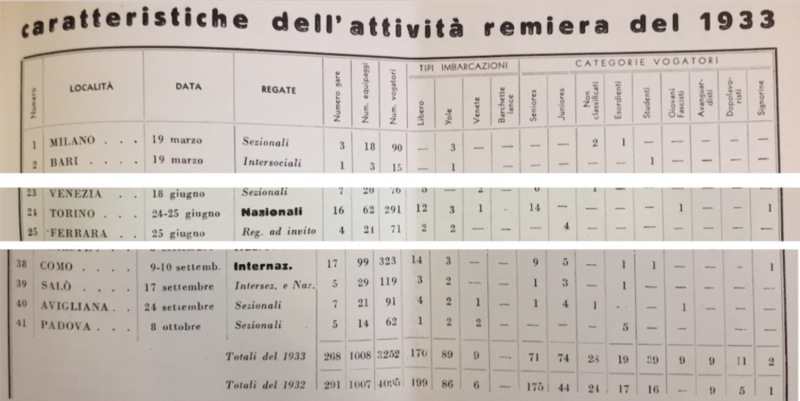 References to women’s rowing begin to emerge only from Spring 1933, most likely due to the fact that some women’s teams joined the nationals in Turin in May of the same year, and again in Como 4 months later. How statistics can be useful for historical research. In November 1933 Il Canottaggio magazine published an annual listing of federal activities. The columns to the extreme right set out the categorie vogatori ‘category of rowing team’: of which, the last one is called signorine ‘young ladies’. Scrolling down, you can observe both the June national regatta in Turin (line 24), and then the September international regatta in Como (line 38). 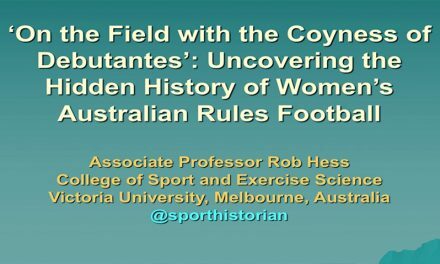 Interestingly, if we look the totals, one can see that even in 1932 there was one women’s regatta, which was until now unknown! Actually, Il Littoriale didn’t make mention of the girls’ participation in the Como regatta, nevertheless in the result listings above there is a brief reference to “Sea jole, 4 vogatrici ‘female rowers’ and 1 timoniere ‘male cox’. The distance was 1000 meters. The winning team was composed of A. Catenazzi, E. Bonauguri, E. Rapinesi and F. Villoresi, plus Figini as cox. 6.2. 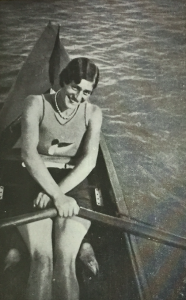 In July 1933 the article Il canottaggio e la donna talked openly about Italian women’s rowing, saying that it was a good sport because it was a all-round healthy sport. In fact, 1) it didn’t result in the overdevelopment of certain muscles over others; 2) it didn’t require a huge amount of effort; and 3) it was practised outdoors. 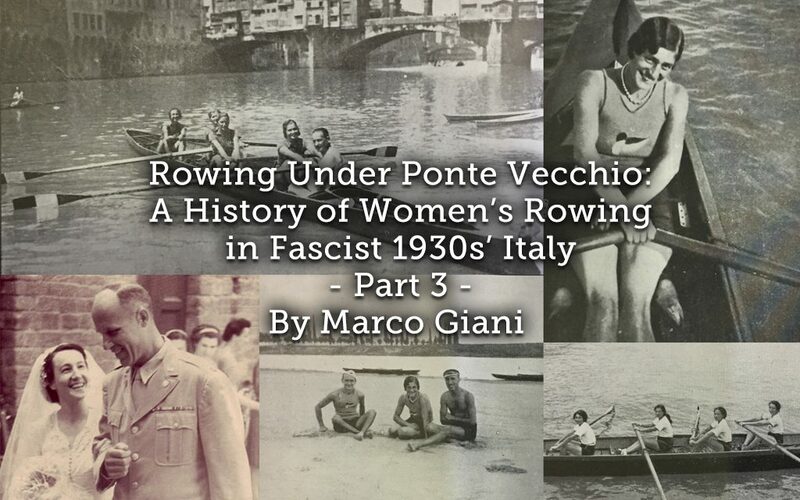 6.3 In November 1933, Il Canottaggio wrote that between 4 and 5 Italian rowing clubs had already created their own female section – which was a small result when compared with expectations, yet a big one when compared with the previous situation. Nevertheless, the magazine was still in the position to publish two pictures of the two female teams which participated in the Lake Como September regattas: Olona (from Milan), and Lario (from Como). 6.4. 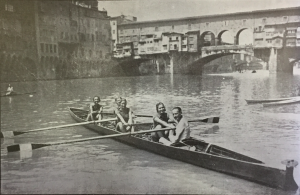 Yet the best pictures to be published by Il Canottaggio came from Florence – and we can discover something about these Florentine women’s rowers thanks to an article published by La Gazzetta dello Sport on June 20, 1933. As soon as the local male rowing club (Società Canottieri Firenze) announced the opening of a female section, 20 women joined it: 15 of them were immediately ready to row, under the guidance of cox Davide Tempesti. We can still see 4 of them rowing in a yole thanks to some magnificent pictures taken on the banks of the Arno River, in front of the world-famous Ponte Vecchio. The four girls named their team Corsare Azzurre ‘the Italian-blue Corsairs’, combining a rebel self image with the colours of their national identity. In addition to the azzurre adjective, they also painted their blades in three colours: they were most likely painted in green, white and red, the colours of the Italian national flag. 1933: C. Firenze team (Licia Tempesti, Ogarita Tempesti, Lemy Jörg, Floriana Riccardi; cox: Davide Tempesti) in front of Ponte Vecchio, Florence, probably Summer 1933. The pictures were published in the Winter of 1933/1934, so they would have been taken during the Summer of 1933 (due to the season break). 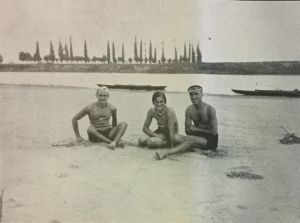 Let’s look at the (presumably new) picture published in June 1934 by Il Canottaggio, in which the Tempesti sister are rowing in a 2-with boat, forming a sort of “family team” with their cox Davide, who may have been their father, uncle or elder brother. 7. 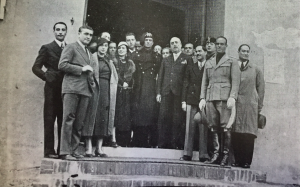 As told by Il Canottaggio, in March 1934, while on his tour of Florence, the powerful Fascist gerarca Renato Ricci (chief of Opera Nazionale Balilla, who managed amateur sport in Italy) visited the headquarters of Società Canottieri Firenze. He was welcomed by several members, including of course Alessandro Pavolini (S. C. Firenze President and Fascist Florence Segretario Federale). There were even two women among them: as the article said, «on behalf of the Women’s Section, contessina ‘young countess’ Goretti De Flamini and the young ladies Tempesti». 7.1 The women in the front row must be the Tempesti sisters, since neither one of them is the young countess Flaminia Goretti De Flamini (1905-2004): this was confirmed by Flaminia’s daughter, Martha Specht, in my interview with her in September 2018. 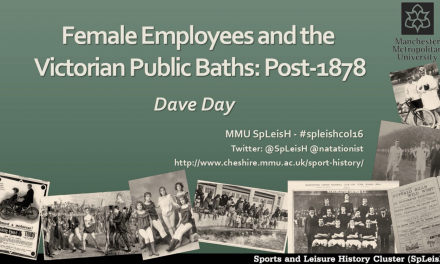 Martha explained that her mother as a young girl was very open-minded: she had already practised a lot of sports, such as horse riding, tennis and skiing. Coming from a noble and reasonably wealthy family, Flaminia was really interested in social activities, so much so that she attended (against her family’s will) a training school for midwives. This decision created a lot or problems even with her colleagues, who all came from lower classes, and they were bothered by the presence of an upper class girl: nevertheless Flaminia tried to get on everybody during the course. Being a firm believer in the Fascist welfare state, Flaminia had applied for membership in the Partito Nazionale Fascista; however, in 1938, her faith in the regime was called into question by Italian Racial Laws, because she had a lot of Jewish friends. Aware of the new laws, she invited a couple of Jewish friends (Leonfrancesco and Adriana Orvieto) to have tea with her at the Bar Giacosa, a famous café in Florence. Her presence at the bar was immediately reported and she was brought in for questioning, during which she declared that she had no intention of giving away her right to spend time with whomsoever she liked. She added that she was ready to discuss this topic with Mussolini himself, who she had already met once … Following that episode, Flaminia was never bothered about her acquaintances. 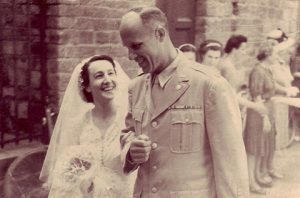 During World War II, she served as a nurse, and she gained a medal for her services on Italian hospital ships travelling over and back between Naples and North Africa; at the end of war, she met an American soldier, George Anderson Specht, who later became her husband in 1946. 8. That’s all about 1933. Almost ten years later (1942), during World War II, the first Italian women’s rowing championship took place in Padua. The Coppa Libellula ‘Dragonfly Cup’ (such a nice name for this new women’s competition!) 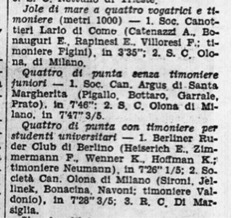 was won by Intra rowing club (from Lake Maggiore): the 4-yole crew was led by cox Renato Petronio, who had won a gold medal with the Italian male national team in the 1928 Amsterdam Olympic Games. 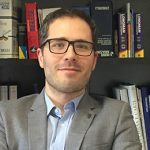 What had happened in the period between 1933 and 1942 is still to be discovered: I hope this article can be a useful starting point for those scholars who would like to do further research in this area. Nevertheless what we can say is that in the mid-1930s there was little development in Italian women’s rowing: in fact, it had made an appearance but then suddenly disappeared in the aftermath of World War I; the same risked happening again after World War II, as highlighted by Gloria Mariani when talking about the difficulties she encountered during the mid-1950’s, in post-Fascist Italy. 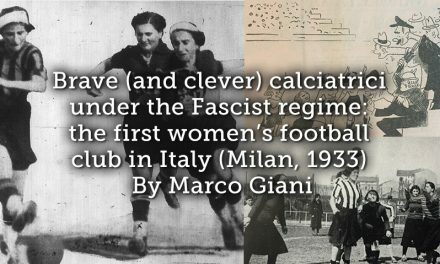 This cycle of birth and decline in women’s rowing was the norm for pioneering women’s sports in Italy – see for example the history of women’s national football league. 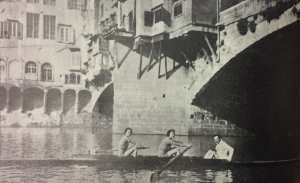 Nevertheless we can still enjoy these pictures taken from Ponte Vecchio, and imagine what it was like to row across the Arno River as young women in the mid 1930’s. 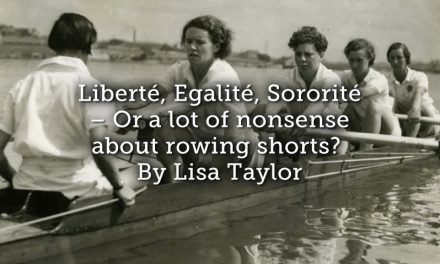 Liberté, Egalité, Sororité – or a lot of nonsense about rowing shorts?